PACE offers a Vanpool Incentive Program that may cost you as little as half the amount you currently spend to commute! Vanpooling is an economical, convenient, and environmentally-friendly alternative to driving alone. The traditional vanpool is designed to transport a group of 5-13 people to work in a Pace van. Pace supplies the vehicle and covers costs including fuel, maintenance, insurance, tolls, roadside assistance and van washes. Between vehicle payments, gas, maintenance, and insurance, the cost of driving alone is expensive. Vanpool riders pay a flat monthly fare, and drivers get personal use of the van and do not pay a fare. Backup drivers receive a $10 per month discount. RideShare is a free, easy and convenient matching service that connects commuters who are interested in forming a carpool (2-4 people) or vanpool (5 or more people) in and around Northeastern Illinois. The program’s website, PaceRideShare.com, gives commuters in the Chicago area the ability to identify potential carpool and vanpool partners quickly and securely. For those who may not live or work near a bus route, driving to one of Pace’s Park-n-Rides may make transit service more accessible. Commuters can park their car for little or no cost and get picked up by a Pace bus. Pace Park-n-Ride locations and pricing (where applicable) can be found at PaceBus.com. PaceBus.com offers an interactive Park-n-Ride mapping tool called WebRoute designed to allow commuters to identify Park-n-Ride locations and bus routes near their home or work. 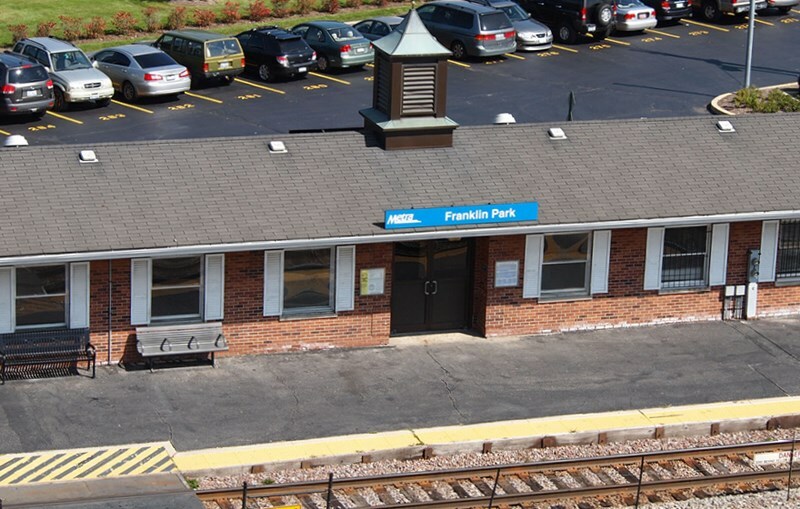 There are 12 Pace-owned Park-n-Rides and over 20 other Park-n-Rides that serve Pace bus routes throughout Cook, DuPage, Lake and Will counties. Parking spaces are marked with Pace signage to let riders know where to safely park. The RTA goroo® trip planner results include Pace bus routes, Metra train lines and CTA train lines and bus routes. The goroo® trip planner provides specific boarding and transfer locations as well as the fare associated with each leg of the trip. Other information, including environmental benefits and money saved by choosing transit for the planned trip is also given. With goroo®, one need only input their starting address as well as their destination and the site generates different routing options based on what is quickest or has the lowest fare, and tailors the schedule to the desired time and day of the week of travel. It’s free to use and can be found at goroo.com.